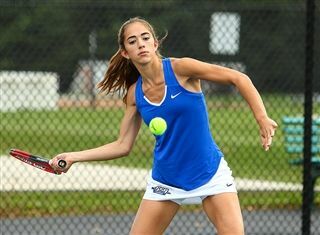 The girls' tennis team continues to climb in the New Jersey rankings as the Knights are now ranked 14th in the state. The program was ranked 19th in the first poll of the season but has moved up five spots after a hard-fought win over Bridgewater-Raritan on September 14 to keep the girls' undefeated record of 4-0. Gill is one of nine schools in New Jersey to have yet to lose a match. Congratulations Knights and keep up the great work!